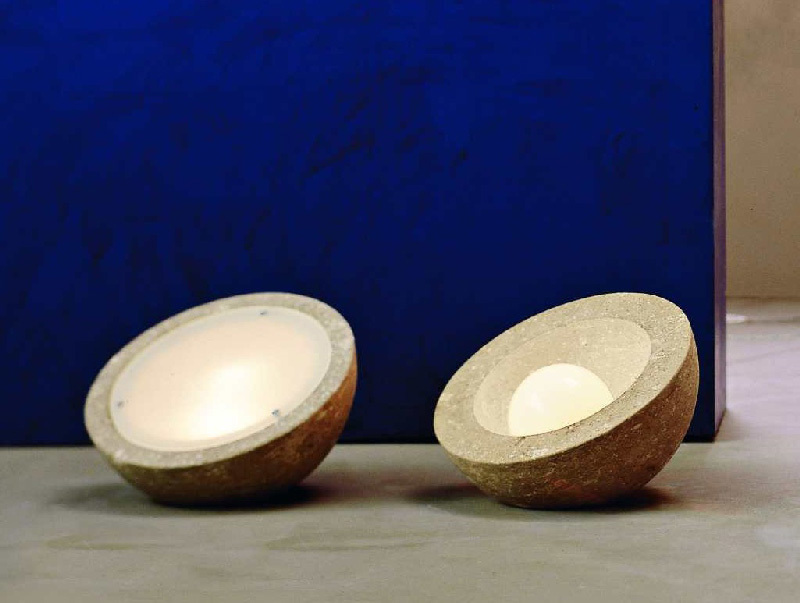 Light and Stone, two primordial elements, different but complementary, they come together in a design of seductive elegance, with the lamps made of Pietra di Vicenza from the Laboratorio del Marmo by Grassi Pietre. 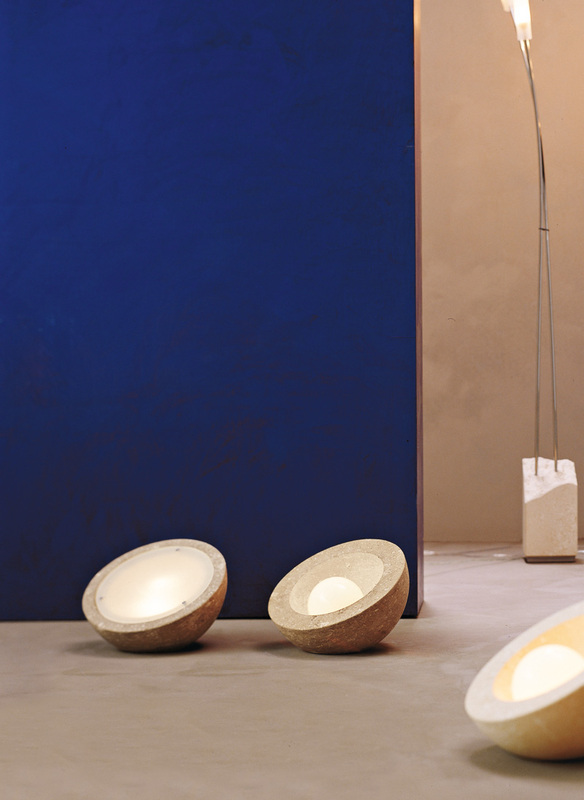 The energy of light meets the strong expressiveness of the stone, flowing together in a combination of solidity and lightness and creating seductive bright atmospheres. 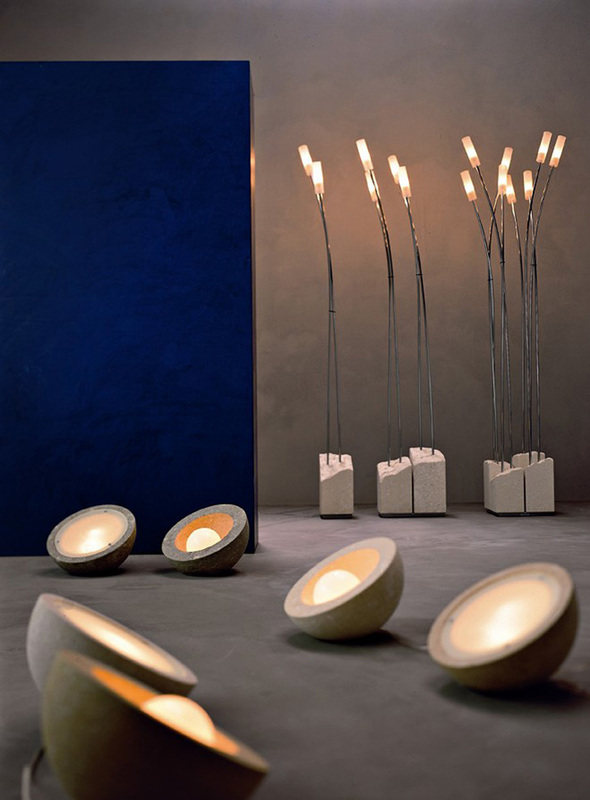 Piera-Palla – design Renza Calabrese – is a floor lamp for indoor. 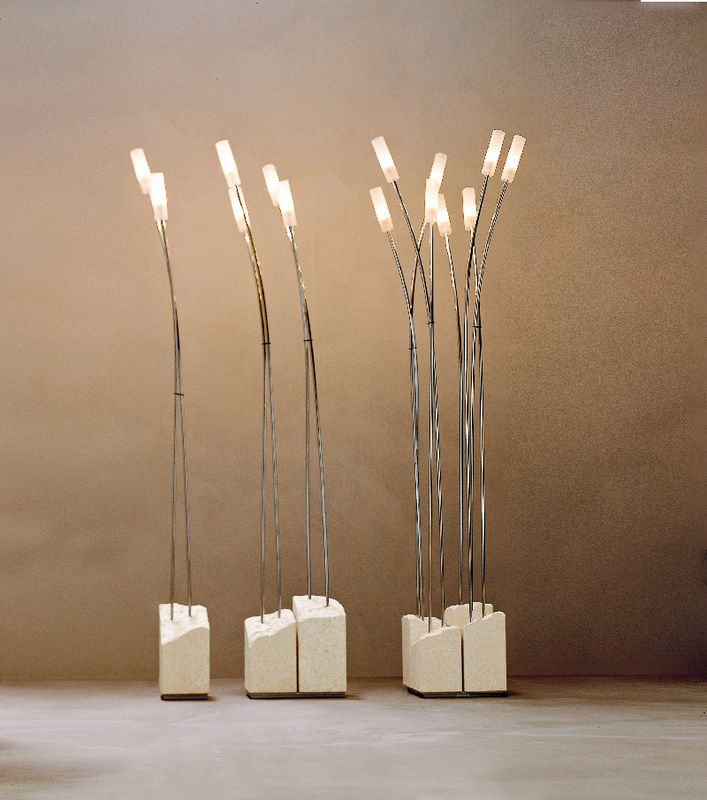 Empathic, playful and versatile, is made with a perfect half-shell in Pietra di Vicenza that houses a halogen lamp releasing an elegant light beam from the bottom up..
Canne – design Chiara Cibin – is a floor lamp for indoor, with fluid, dynamic and tapered lines and a design in movement, with polished chrome-plated steel stems reminiscent of delicate wind-blown reeds, each supporting a small halogen lamp. Pietra di Vicenza base.